Blondie and Brownie: Inside Casa Barilla! The space inside is cavernous and full of seating. 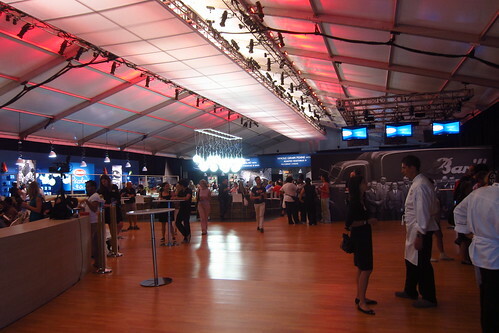 To the immediate left is the classroom area while the competitions are being held to the middle right. 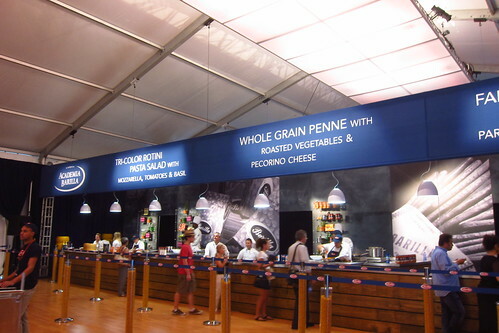 At the back of the tent, you can pick up free samples of Barilla dishes. I tasted all of them-for research, of course-and all were fantastic. 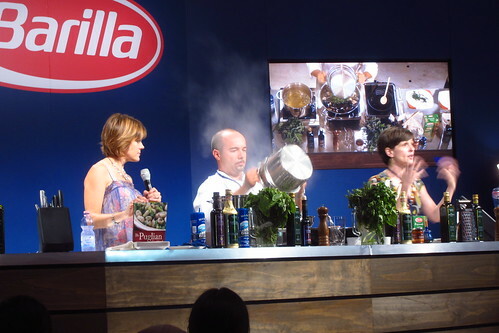 I attended a class on Puglia, and a workshop on wine pairing. I did not know that most Italians don't like the flavor of roasted garlic, or that if you could melt an anchovy into your olive oil to give a dish a certain je ne sais quoi. As for wines, it may help to think of them like milk when describing their body, how thick (like whole) or thin (like skim). 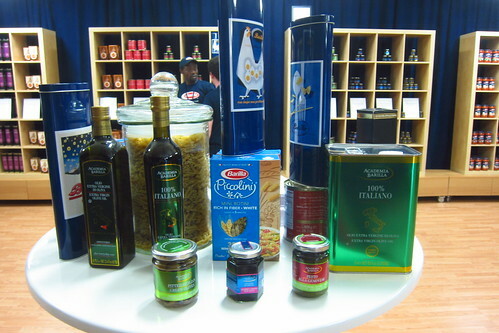 There is a market to pick up Barilla goods. I want to stay and look around, but unfortunately ran out of time. 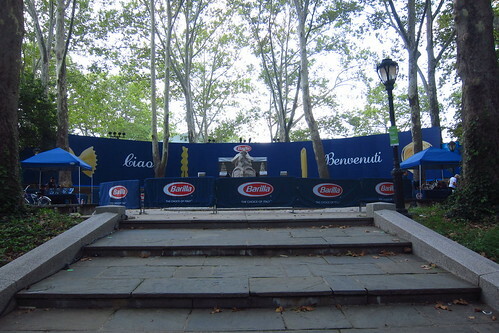 Casa Barilla will be at Rumsey Playfield until Friday. It's $5 to get in, but all proceeds are going to the Food Bank for NYC. Full disclosure: I am a sponsored and compensated Brand Ambassador for their Summer of Italy initiative.